Late Victorian coastal fort built by the British for the world's largest cannon - the Armstrong 100-ton gun - which is still in place! The fort is fully restored and includes the permanent 'Soldiers of the Queen' museum, live-re-enactment displays including live-cannon firing and cavalry throughout the day, toilets and a cafe'. Open Mon to Sat between 10.00 and 17.00hrs (except Christmas Eve, Christmas, New Year's Eve, New Year's Day, Good Friday, Easter and Santa Marija 15 August). Bus no.3 every 30 minutes from Valletta stopping directly at the fort's gate. Audio-guides in twelve different languages are available for free. This property is available for private or corporate hire. 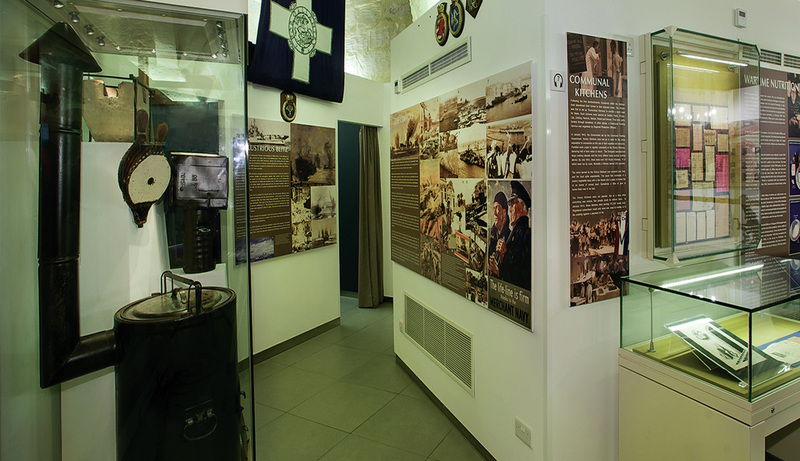 Modern museum dedicated to the daily life in wartime Malta. It is located at Vittoriosa's 18th century three-gated main entrance and is linked to a massive underground air raid shelter. 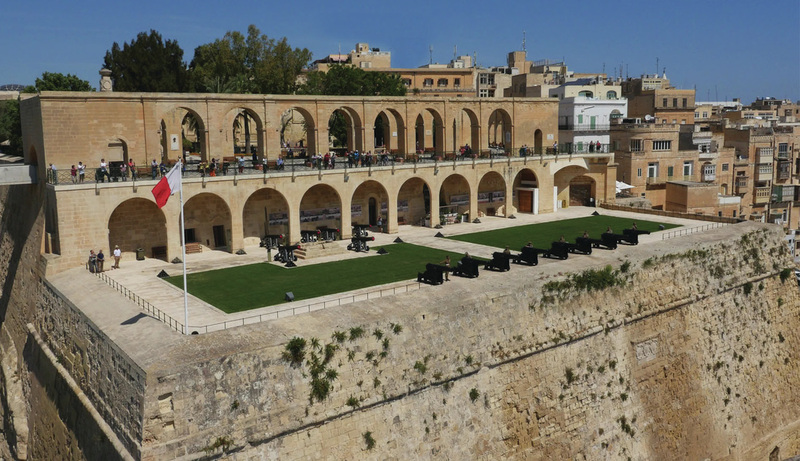 It houses some very rare artifacts from the time, including Malta's first George Medal. The museum is equipped with interactive interpretation, cafe', gift shop and toilets. Open Mon to Sat between 10.00 to 17.00hrs. (except Christmas Eve, Christmas, New Year's Eve, New Year's Day, Good Friday, Easter). Bus nos 2, 3 & 4 from Valletta stopping across from the museum entrance. Audio-guides in twelve different languages are available free. Malta's ancient ceremonial platform in Valletta from where gun salutes are still fired on national occasions, religious feasts and to greet visiting ships and dignitaries. Two time-guns are fired from here daily at 12.00 and 16.00hrs. This battery includes a reconstructed 19th century Gun Powder Magazine and an Artillery Store along with a rich collection of historic artillery and related artifacts. Guided tours by the resident soldiers are available along with the free use of our audio-guides in twelve different languages. Given its prominent location perched high above the Grand Harbour this battery enjoys stunning views of the harbour and the Three Cities. Includes a gift shop and toilets. The battery is open from Mon to Sat between 10.00 and 17.00hrs (except Christmas Eve, Christmas, New Year's Eve, New Year's Day, Good Friday, Easter ). Best access is from the Upper Barracca Gardens down the steps. You can book and start your War H.Q. Tunnel tours from here held between Mon to Sat at 10.30 and 13.00 respectively. This property is available for private or corporate hire. Wartime underground Combined Operations Center under Valletta. Completed by the British on May 1st, 1943 in time for Operation Husky - the Invasion of Sicily when it was used as the Allied Supreme Commander's advance headquarters (US General Eisenhower). 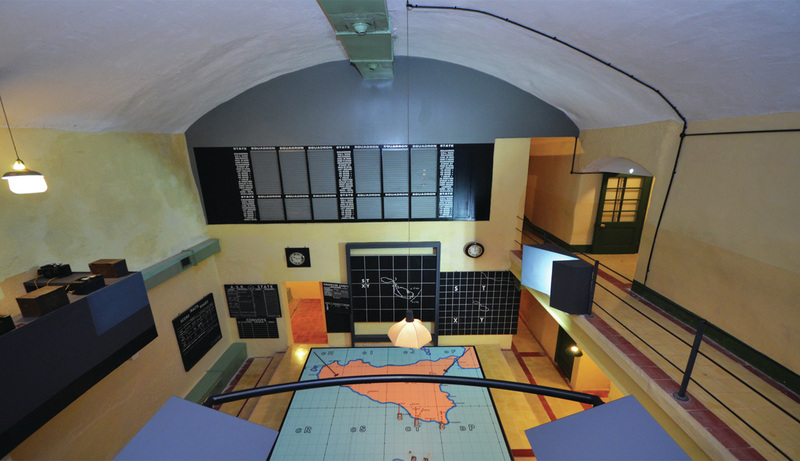 It includes a wartime Combined Operations Room, a Sector Fighter Control Room, a Radar Filter Room, a Direction Finding Room, supporting offices and Radio Communications Cubicles and rare period items such as an original Mickeltwait Height Corrector used to locate raiding aircraft. You can also watch two wartime documentary films about Malta. Guided tours by the resident guides are available along with the free use of our audio-guides in twelve different languages. This attraction is open from Mon to Sat between 10.00 and 17.00hrs (except Christmas Eve, Christmas, New Year's Eve, New Year's Day, Good Friday, Easter). You can reach it in three ways: 1) Right-end of the bus station in St. James Ditch; 2) Battery Street or 3) through the Saluting Battery following directional signs. The War Headquarters Tunnels represent a massive underground complex located under the Upper Barracca Gardens in Valletta that covers some 28,000 square metres of tunneling. It groups together the early World War Two tunnels which housed the Combined Operations Center during the Battle for Malta, the St. Peter & Paul Counter-guard, NATO tunnels and the Unfinished Tunnels which were to house the Civil Government Bunker in 1943. This is the site from where world famous naval and military battles were fought during World War Two in the Mediterranean such as the Taranto Raid, the naval Battles of Matapan and Sirte' and the Battle for Malta 1940 -42. Work on these tunnels is ongoing and visiting is only possible as part of a guided tour. Guided tours are held twice a day between Mon and Sat at 10.30 and 13.00hrs respectively (except Christmas Eve, Christmas, New Year's Eve, New Year's Day, Good Friday, Easter and Santa Marija 15 August) departing from the Saluting Battery where bookings are to be made and tickets obtained. Same tour includes a guided tour of the Saluting Battery and viewing of the time guns. Allow 2 hours for this tour with stops for toilet and refreshments. The Admission fee is €15 per adult and €5 per child over 10 years but if accompanied by an adult. Prior booking is desirable for organized groups by telephone 21225277 during office hours or by email info@wirtartna.org. The St. Peter & Paul Counter-guard forming part of this property is available for private or corporate hire. 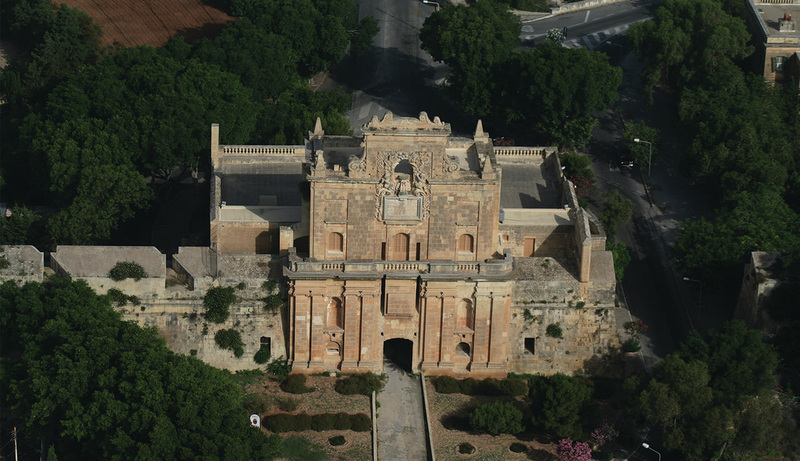 Built in 1675 by the Order of St. John as part of the Cottonera Lines, this grand baroque building survives complete and includes some marvelous architectural features which are not found anywhere else in Malta. From its roof one can enjoy stunning views of the island. It consist of four large bomb-proof casemates standing upon each and crowned by a large portcullis gatehouse. This building has a very rich and colourful history which spans some 400 years and includes the Hospitaller, French and British Periods. Following the debacle at Gallipoli in 1915, thousands of wounded allied troops were brought to Malta for treatment and convalescence. Some of these were accommodated at the nearby Cotonera Hospital built in 1870 and at Notre Dame Gate when no space was left in the hospital. 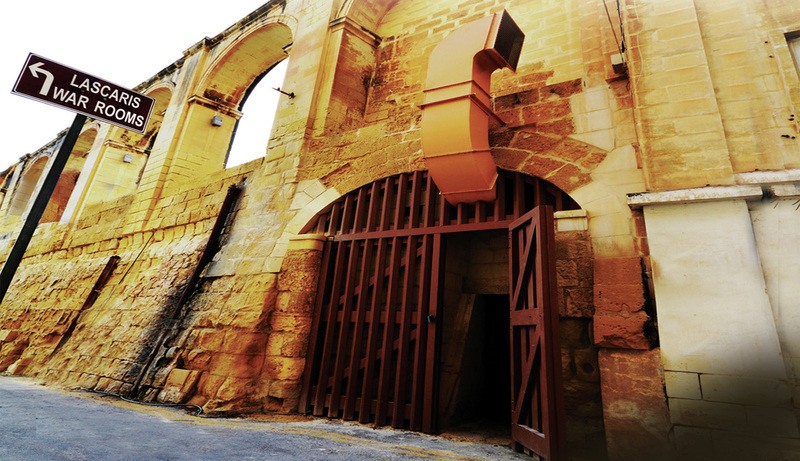 Notre Dame Gate is available for visiting every Wednesday at 10.30hrs as part of a guided tour of the gate, the nearby former Cottonera Military Hospital and parts of the Cottonera Lines, an early 18th century gun powder magazine and WW2 defences. The admission fee is ​€15 per adult and €5 ​per child over 10 years. Prior booking is necessary by telephone 21800992 (office hours) or by email at info@wirtartna.org. Mid-18th century coastal battery first built under Grandmaster Perellos as part of an extensive coastal defence system of the island against a seaborne invasion. It was later enlarged into its present form by Grandmaster Pinto to accommodate bigger armament to better protect the bay against unauthorized entry or landing. 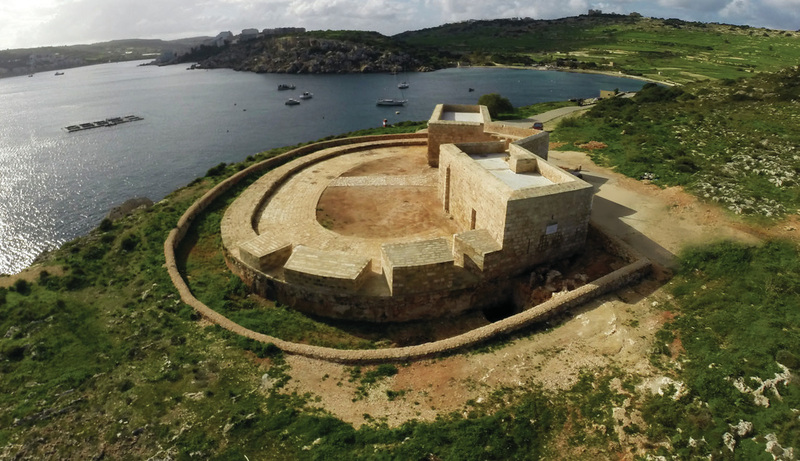 Located at Mistra Bay limits of Mellieha this immaculate battery overlooks Wignacourt Tower and Battery at St. Paul's Bay and St. Paul's Islands. It enjoys stunning views of both and still survives in its pristine unbuilt natural environment. The battery consists of a semi-circular open battery with embrasures on one side and with its back closed by two rectangular blockhouses and an open redan both of which are pierced by long musketry loopholes through which landward defence was possible. This property is available for visiting by prior booking only by telephone 21800992 during office hours or by email info@wirtartna.org. This property is available for private or corporate hire.